Ministry of Propaganda - 09/Jan/2010: "Snow Picture of the Day - Snow in Tree"
I had stopped to take a picture of the snow covered towpath along a bend of the canal. The picture turned out fine, but nothing spectacular. 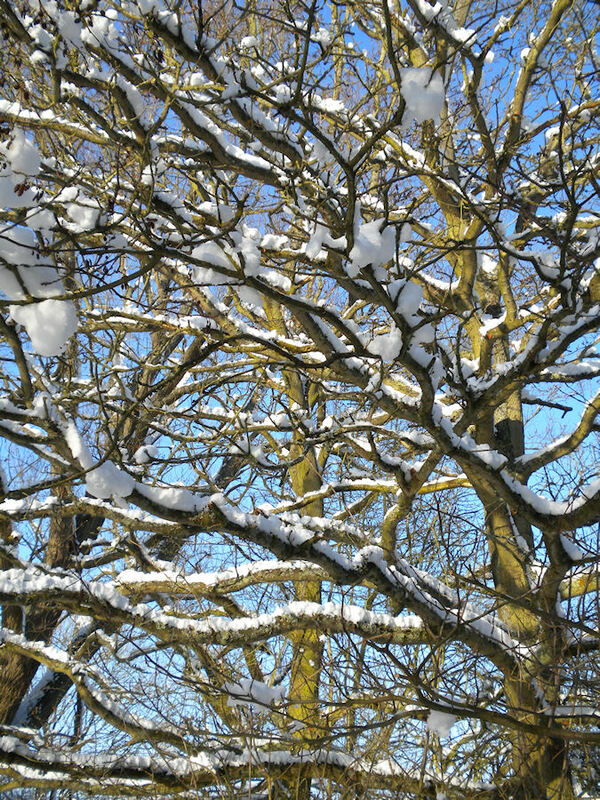 Almost by chance I looked up and noticed the snow on the green-brown-ish branches above against the pale blue sky. Not thinking too much I snapped a few pictures of it. Looking at it again now I quite like it, the textures, the colours, the mood, it just seems to play together quite well.